Yes. I am letting the word “swag” out of the penalty box, albeit briefly. I feel like Workaholics buried the whole concept and read a prayer over its tombstone. But if Metta World Peace wants to invoke it, LET IT BE INVOKED. I don’t like that style. You’re in New York, the fashion capital. Change your haircut, OK? You’re a star now. Wear some shades. Shades, OK? Put down the nerdy Harvard book glasses. Put on some black shades, OK? With some leather pants. Nominated by Andy Greenwald, who definitely owns two Menswe@r singles. The celebrity chef was renovating a branch of the Midland bank in Manchester, where he was planning on building a new restaurant, when he came across “rare Joy Division and New Order master tapes.” And gold. And jewelry. What!? Nominated by Brian Phillips, no doubt while he was staring at a picture of Old Glory and listening to Hulk Hogan’s “Real American.” These two have been tearing up the English Premier League; Donovan on loan to Everton and Dempsey for his longtime club Fulham. If they didn’t exist, Henry James would have to invent them. From feel-good story collector Sarah Larimer: “How can you not love the story of Emma Burton, the young K-State fan who refused to participate in a class activity and color a picture of a Jayhawk for Kansas Day? My mom is a kindergarten teacher, so part of me wants to be all, ‘Oh, Emma. 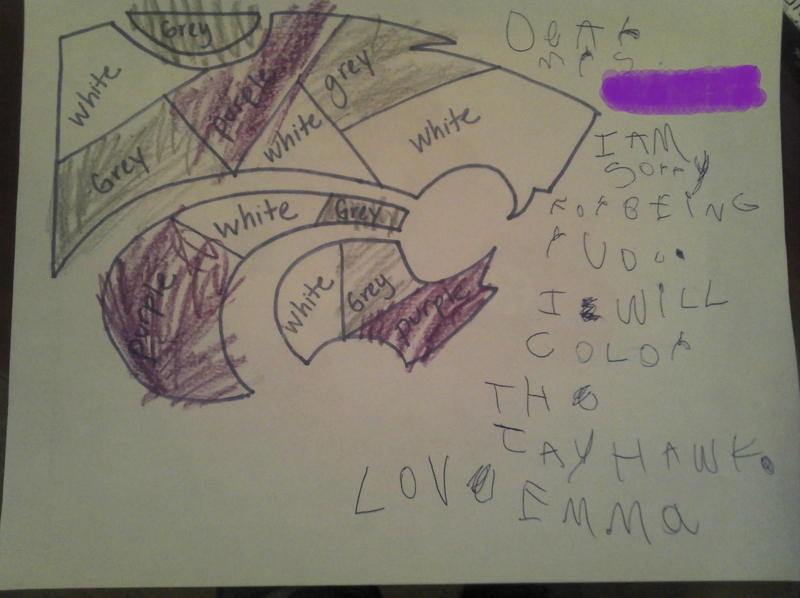 You probably should have just colored the stupid Jayhawk.’ But no, Emma, you do what you want. Do not color the stupid Jayhawk! Throw it in the trash! I don’t see what it has to do with Kansas Day anyway! Also, what is Kansas Day? Is that, like, a real thing?